The story of P. P. Levertoff, one of Messianic Judaism’s brightest minds. The true story of Levertoff’s prolific and high-profile daughters. Recovering Levertoff’s lost manuscript on reconciling Christology with the Jewish theology of the Shechinah. Boaz Michael introduces us to the contents of this issue. He goes into detail about the long journey and twists and turns of gathering information and translating the latest project from Vine of David. This issue's feature is a compilation of information about the life of Paul Philip Levertoff done by Brian Reed, translator of the new Vine of David edition of The Religious Thought of the Chasidim. 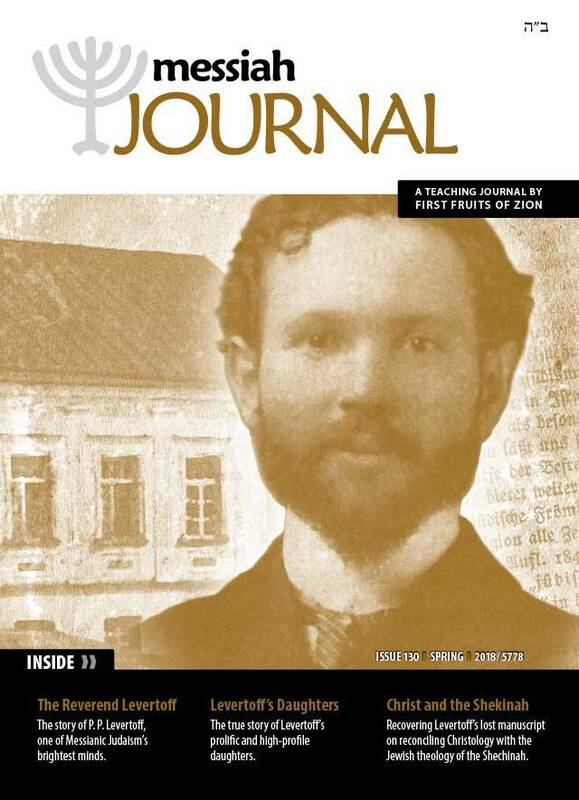 Toby Janicki collected articles from early issues of Paul Levertoff's quarterly journal The Church and the Jews that describe what life was like in the Volozhin yeshiva that Levertoff attended in his youth. Paul Philip Levertoff was the editor of a quarterly Messianic mission journal from 1923 until his death in 1954. Toby Janicki tells the story of how FFOZ acquired many of the issues and lists the missing ones. Shayna Michael's investigative work produced the story of the lives of Paul Levertoff's two daughters, Olga and Denise. She poignantly describes both the triumphs and failures of these two brilliant women and shares the poem they co-wrote for their father. Daniel Lancaster makes an attempt to reconstruct a missing manuscript that was to be Paul Levertoff's "book of his life" by piecing together several works that relate to Christology in Jewish terms. This article is what we believe to be a chapter from the missing Christ and the Shekinah manuscript that was published in one of Olga Levertoff's many books. This article contains the contents of a letter written by Chaim Yedidiah Pollak (Theophilus Lucky) to Paul Levertoff after they parted ways because of disagreements. Reprinted from Messiah Journal 118, Part 4 of Bram: The Life and Wisdom of Messianic Jewish Pioneer Abram Poljak detailing Poljak's work with Paul Levertoff at the Jewish Christian Union in England. FFOZ reviews four new titles.